Give your back a rest. Promote proper posture with our durable foot supports. A strong chromed steel frame and natural rubberized platform are attractive and provide years of service. 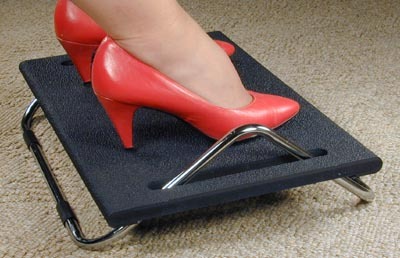 Platform dimentions: 19" x 12" x 1/2"
Question: What is the weight of this footrest? Answer: The shipping weight on this is 7 lbs.